Woah. This book feels like a GAME-CHANGER. 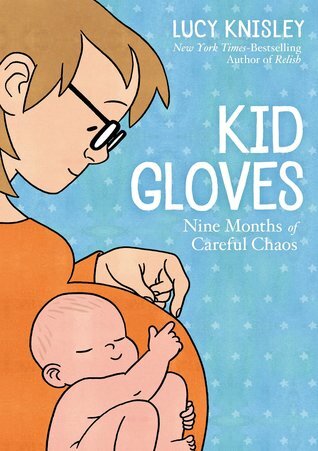 And maybe it is, who knows, I sure don’t know many graphic novels mainly about pregnancy so this may just be one of the firsts of its kind. And maybe there will be more in the future, only time will tell. Wouldn’t that be amazing, though? I learned so much from it. I have read stories about pregnancy, like the memoir AND NOW WE HAVE EVERYTHING by Meaghan O’Connell which was fascinating but also a little bit (lot) traumatizing. Still, ever since I read that book, I became interested in knowing more about pregnancy and motherhood. In this book, Lucy Knisley shares her experience of trying for a baby, having miscarriages, going through depression, being pregnant and having a baby… and more. She also takes the time to teach the readers. I did not expect to close this book and be so much more informed than I was when I first opened it. Who knew miscarriages were so frequent? Who knew there were so many misconceptions? Who knew you could control so little? So you CAN have babies after the age of 35?! I appreciated how far Lucy pushed. (I don’t know if that was a pun or a really inappropriate sentence.) She could have discussed widely known facts or misconceptions alone, but she went deeper and actually taught some History too. I was in a TRANCE the whole time. Crazy.